Home » Posts Tagged "eco click"
The Bristan Capri Range of bathroom taps at an amazing price. With a chunky design to the mixer taps with a broad handle making this range unique and almost going against the grain of today’s slimline designs. 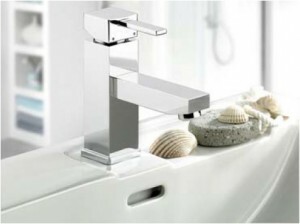 Within the Bristan Capri range of bathroom taps are separate pairs of basin and bath taps, three choices of mono bloc basin mixers standard with or pop up waste, or an Eco-click mixer for water saving, a bath filler and a bath shower mixer. There is also the Capri mini shower within the range which comes complete with a riser rail handset and hose and can be either surface or recessed mounted with a front plate supplied for recessing. 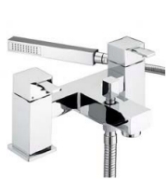 For best deals on Bristan Capri Bathroom Taps follow the link below and save 40% with fast deliveries and a 30 day money back guarantee.